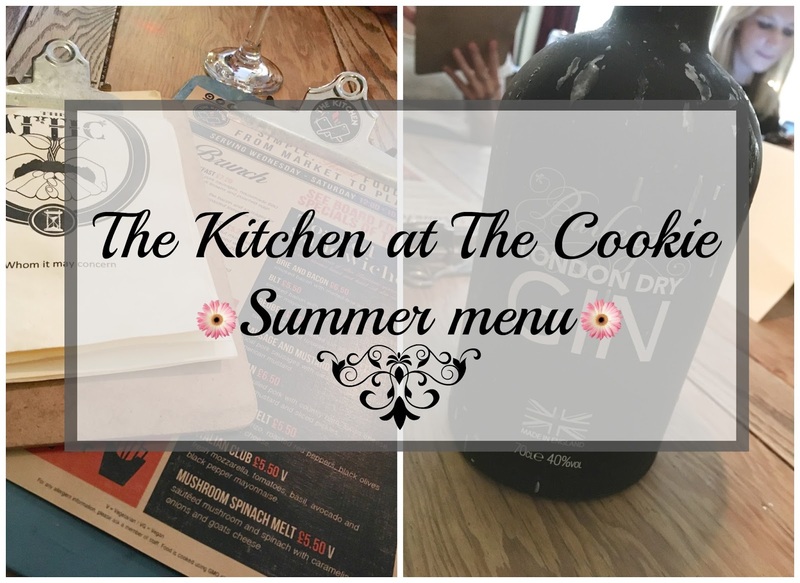 Last week a group of us Leicester bloggers were invited down to The Cookie to sample the new summer menu at The Kitchen. The Cookie is a well known music and comedy venue in the heart of the city with The Attic situated upstairs (serving up the most fabulous cocktails) and The Kitchen, the restaurant side of things obviously, on the ground floor. It was celebrations all round as it was The Attics first birthday and The Kitchen were celebrating being open six months. 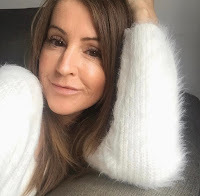 We actually went along to the launch of The Kitchen earlier in the year and you can catch that post here if you'd like. I was excited to try the new menu and a table for the six of us had been reserved. We were treated to a selection from the brunch, lunch and dinner options and the salt beef hash was first up. Tender pieces of beef with beans, onions, and crispy potatoes, topped off with a fried egg and a slice of toast. I'm not the worlds biggest beef fan (has to be leanest of lean for me) but this combo was really tasty. 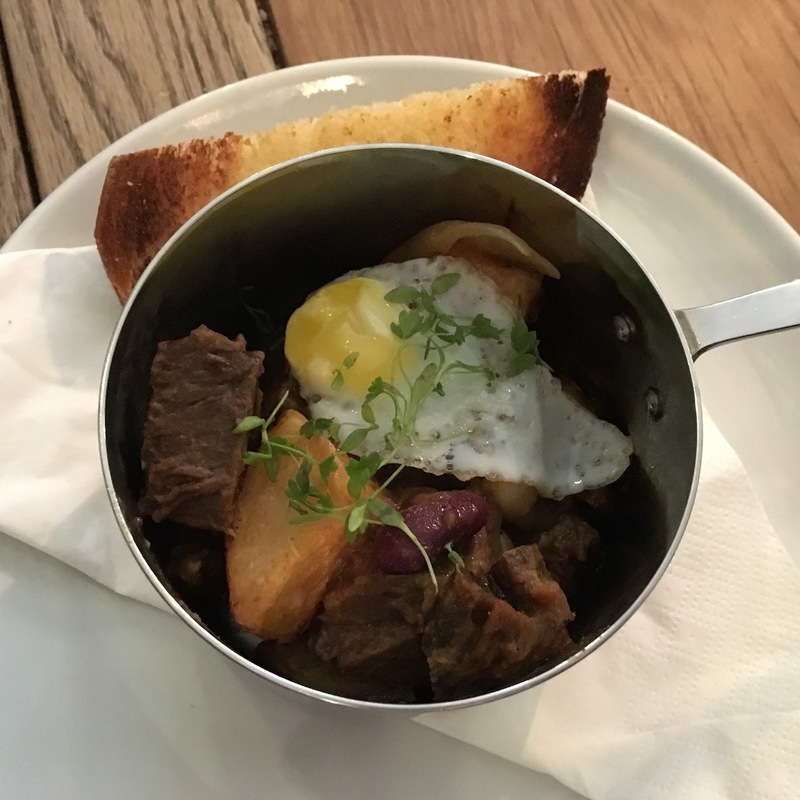 It was served in the dinkiest little saucepan, to the delight of us bloggers, but this was for sampling purposes, so, should you pop in for brunch, have no fear you will get the regular portion and I imagine it would be rather filling! Next up to tickle our tastebuds from the lunch menu were the toasted sandwiches. The chorizo melt, with roasted red peppers, black olives and cheese, all wrapped up in delicious, perfectly toasted bread was yummy but the mushroom melt, was my favourite of the two. 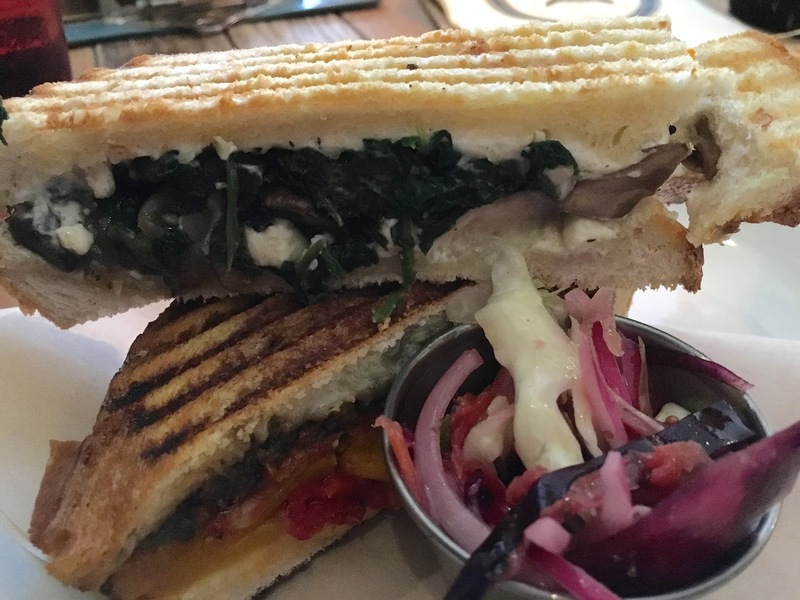 With a combination of sautéed mushrooms and spinach, caramelised onions and goats cheese, it certainly was a mouthwatering delight. By this point I was getting pretty full but it was on to the burgers! 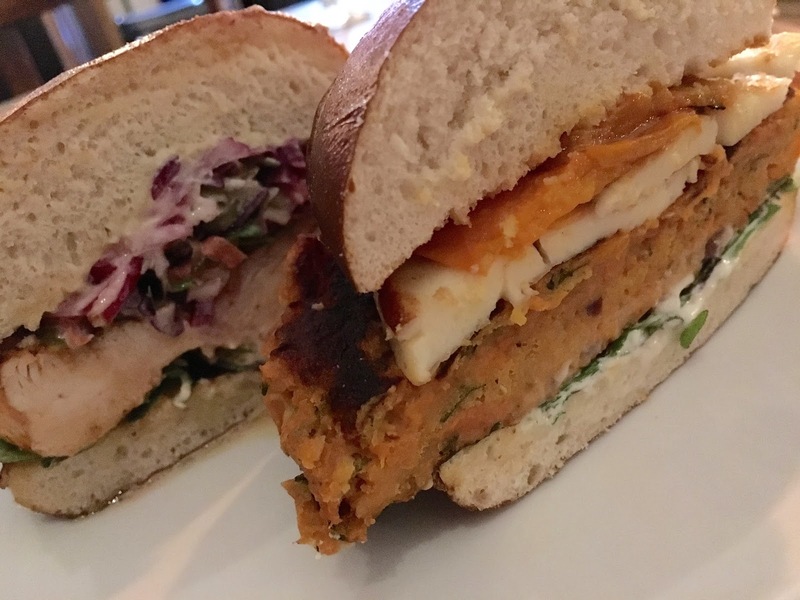 I'd seen the sweet potato and halloumi burger on the menu and I was really looking forward to trying that one but I've got to be honest and say I didn't enjoy this as much as I thought I would, it was slightly lacking in the flavour department for me, but that's just my personal taste. The buffalo chicken burger however made your taste buds stand to attention with the spicy rub, the spicier the better as far as I'm concerned and it was packed full of flavour. It really was delicious, even if a little messy to eat, making me resort to a knife and fork to save face, and clothes!!!! The Kitchen pride themselves on fresh, top quality, locally sourced ingredients and when asked about his inspiration for the new dishes, Nick Towarianskyj, owner at The Kitchen simply said he based it around the dishes he'd like to eat. If you're in the area you MUST go to The Kitchen at The Cookie. You won't regret it. Now, I can't finish without talking about the incredible cocktail menu put together by Xander Driver. 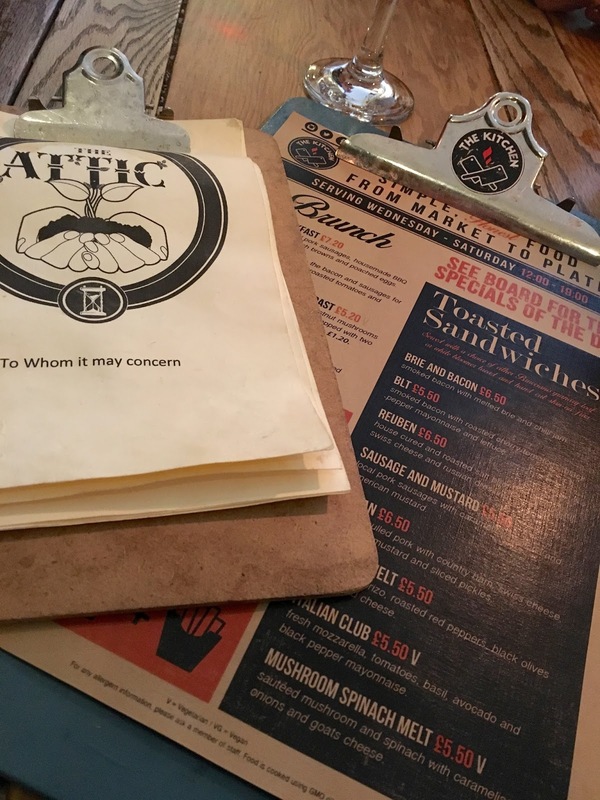 With The Attic celebrating their first birthday they were keen to show off their innovative creations whilst we sampled the food, and why not, they're bloody amazing. They spoilt us with this most beautiful looking selection. 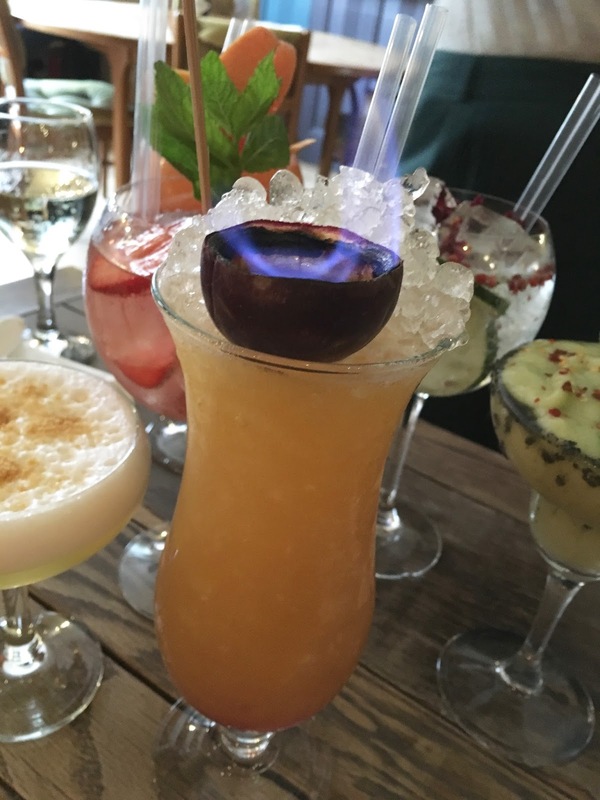 The Zombie with flaming passionfruit! Watch the facial hair...ha ha ha. 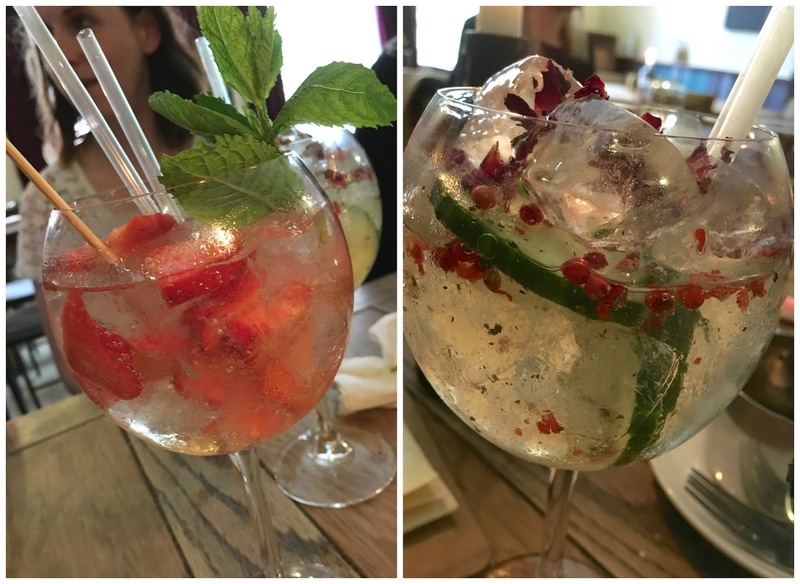 My favourite was the Lemon meringue style cocktail, shown in the first picture, sorry I don't know the exact name of it, looking at my previous post I think it could be called The O bar crumbled, but don't quote me on that, all I do know is that I could drink tonnes of the stuff with the egg white froth and crumbly topping. Gimme, gimme, gimme. versatile! 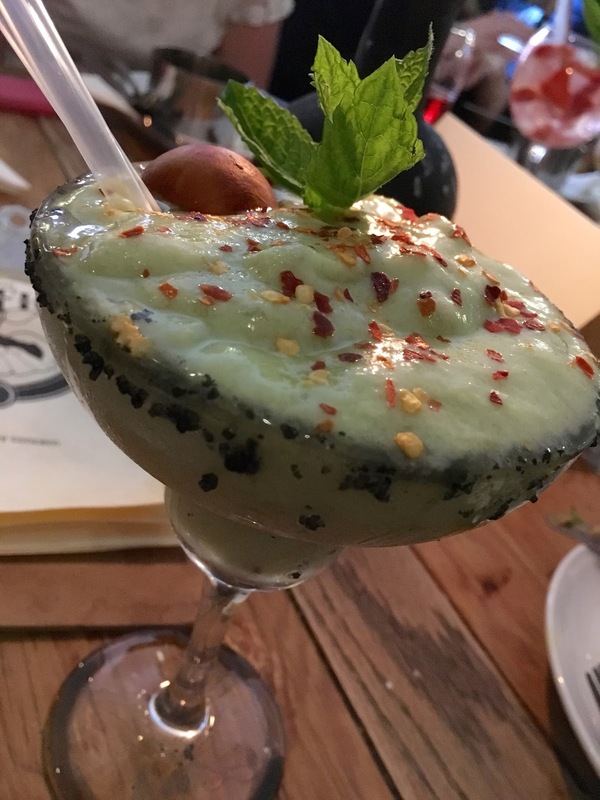 This new creation has a blend of El Jimador blanco tequila, Giffards triple sec, lime juice, grapefruit bitters, agave syrup and fresh avocado topped with chilli flakes. The rim is dusted with Hawaiian black salt and served with nachos for dipping. How novel! I enjoyed it and would have it again although it's not up there with my favourites. Ha, this cocktail could accompany your starter and then have the lemon beauty with your dessert! It was a fabulous evening and it's great to see The Cookie, The Kitchen and The Attic doing so well. Long may it continue. Big thanks to you and Gabby at Cool as Publicity for inviting us along. 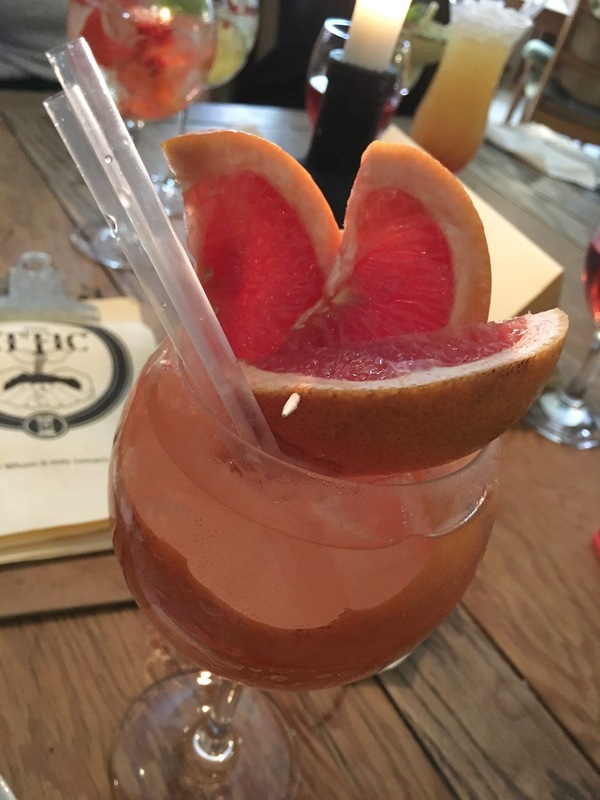 This venue has so much to offer from music & comedy, to food, to cocktails in the friendliest place with a cool and relaxed atmosphere and you MUST pay them a visit soon.